Find which apps are keeping files locked. Is there a better alternative to Who Keeps My File? Is Who Keeps My File really the best app in File Management category? Will Who Keeps My File work good on macOS 10.13.4? Who Keeps My File lets you to find which apps keep files open and prevent you from emptying Trash, ejecting an external drive, modifying files and so on. 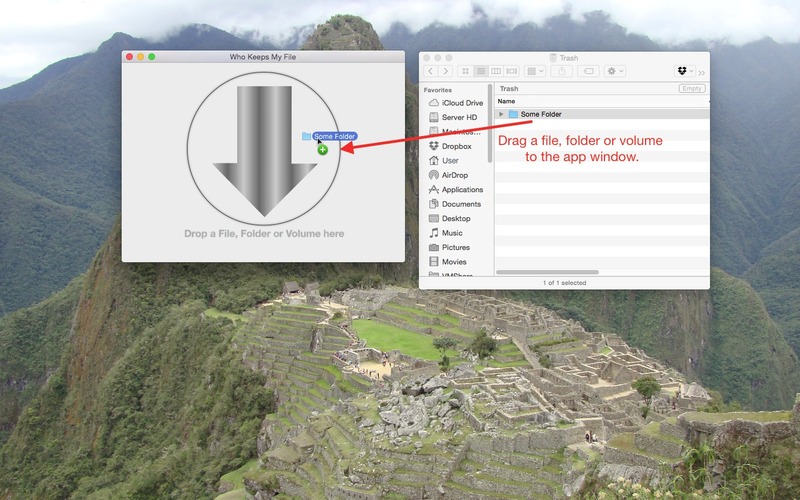 This utility can show you programs keeping one file or all files in a folder or a volume. Then it can activate a usual application or put to the clipboard a Terminal command to force quit a background process. Also Who Keeps My File may be useful to developers of multi-process applications and system administrators. Who Keeps My File needs a review. Be the first to review this app and get the discussion started! Who Keeps My File needs a rating. Be the first to rate this app and get the discussion started!